The Japanese automaker Lexus presented its RC range of models at the Frankfurt Motor Show 2015. 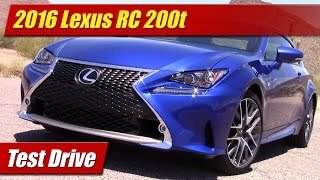 The range includes 300 AWD, RC F and the Lexus RC 200t F Sport 2016. Housed with a powerful engine inside the luxuriously crafted and tech integrated body, the model is anticipated to take the legendary name to new heights. 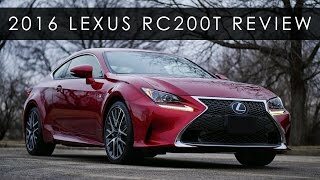 Let us have a look at the review of Lexus RC 200t F Sport 2016 to know more about it. The interior of Lexus RC 200t F Sport 2016 is divided into two sections; operational zone and display zone. Former includes a massive seven-inch navigation screen and instrument panel while the latter includes new Remote Touch Interface integrated in center console. The interior is drenched into new Clove tone which includes shimamoku wood highlights. You’ll also notice a lighting package inside the model, marking its presence by reflecting upwards. The interior of Lexus RC 200t F Sport 2016 isn’t just about the looks but it also has numerous features like, Rear Cross Traffic Alert, Climate Control, Blind Spot Monitoring and yes the powerful 17-speaker system. The exterior of Lexus RC 200t F Sport 2016 carries design language that we recently noticed in the sedan versions. Starting with the front fascia you have the traditional spindle grille sitting amidst the gular-shaped headlamps. The grille marks its presence till the bumper while the fog lamps are housed at both the ends. Moving towards the rear end you’ll notice the massive 19 inch roller that will be taking the model over the streets. The rear end will captivate your attention with the gorgeous tail lights and the air outlets on the either side beneath them. 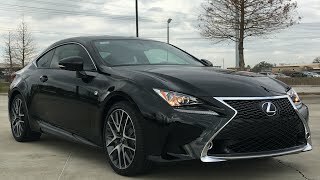 In all rounding up the exterior details of Lexus RC 200t F Sport 2016 I would say, it is aggressive and bold when you look from the front but by the time you’ll make your way it’ll leave a luxurious yet sporty identity with its rear fascia. 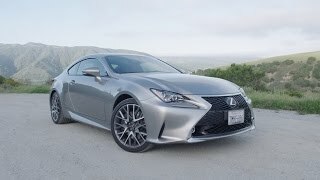 Beneath the hood of Lexus RC 200t F Sport 2016 is a powerful 2.0 Liter turbocharged four-cylinder engine generating total output of 241 hp and peak torque of 350 nm paired to eight-speed automatic transmission. Delivering more power and better fuel economy the model is anticipated to grab great attention. 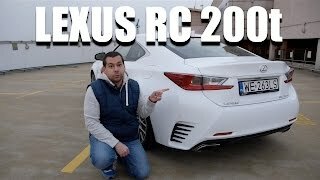 However the performance figures of Lexus RC 200t F Sport 2016 are not yet shared but we expect to have them in near future and simultaneously assure delivering them to you.